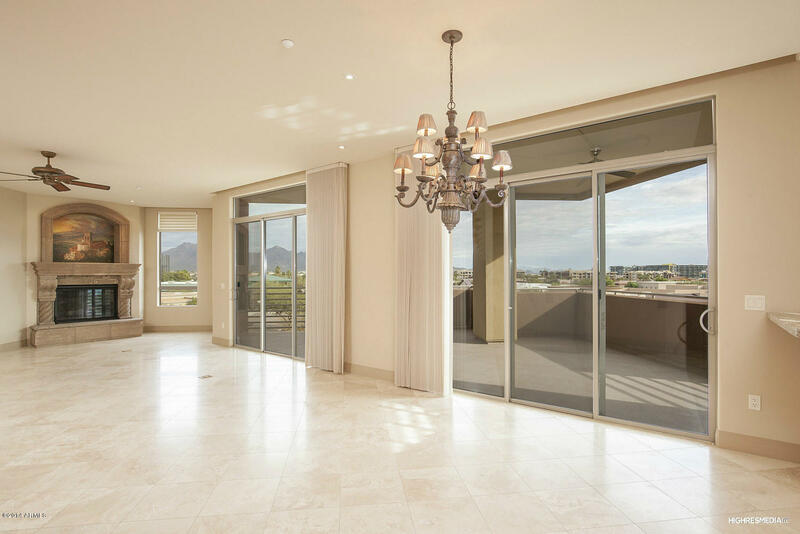 This gorgeous luxury condo corner unit showcases unbelievable city light views and includes extravagant finishes like stone counters in the wet bar, baths, and kitchen. 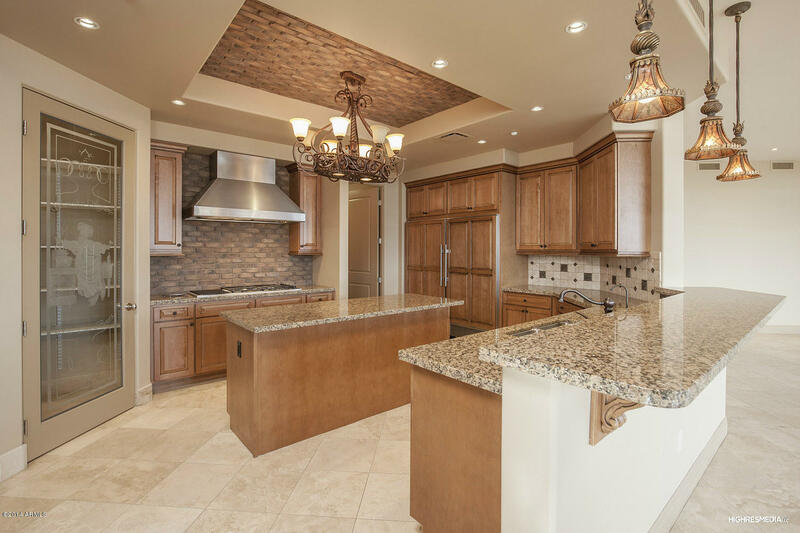 The gourmet kitchen consists of a gas cooktop stove, and walk-in pantry. 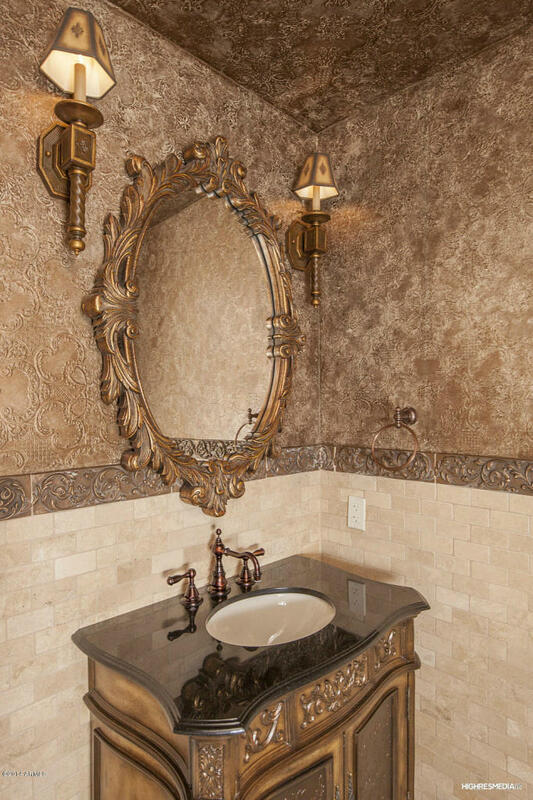 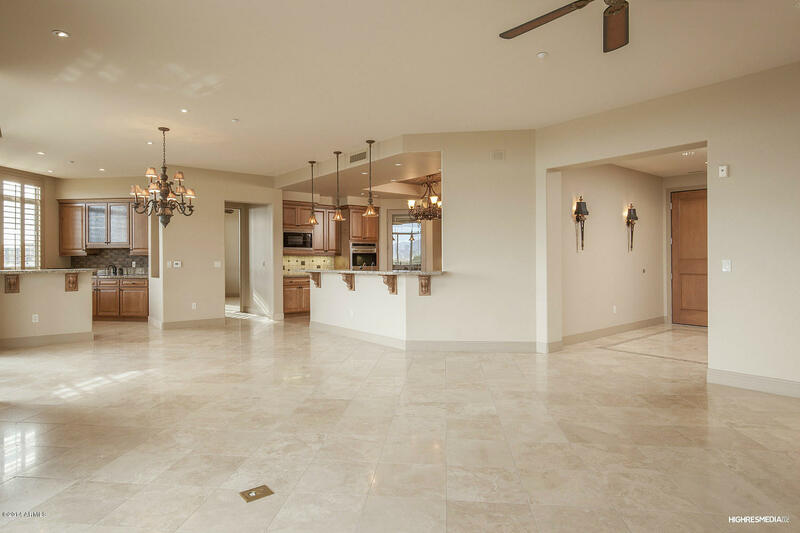 Travertine floors cover all the main living areas. 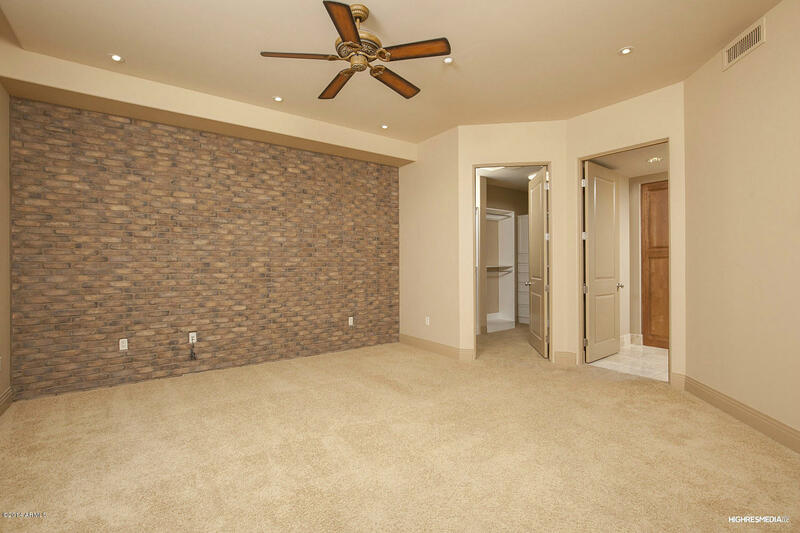 The split master with large master suite includes separate sitting rooms and two walk-in closets. 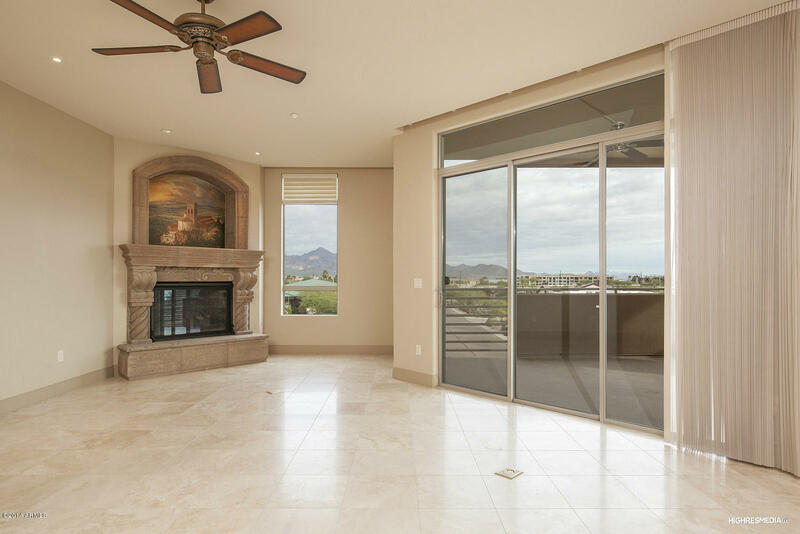 The great room floor plan opens to a generous patio for outdoor living and dining. 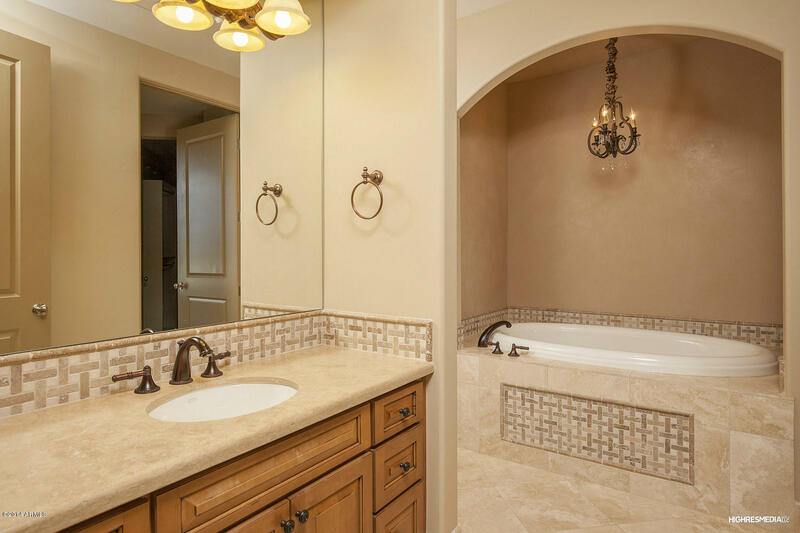 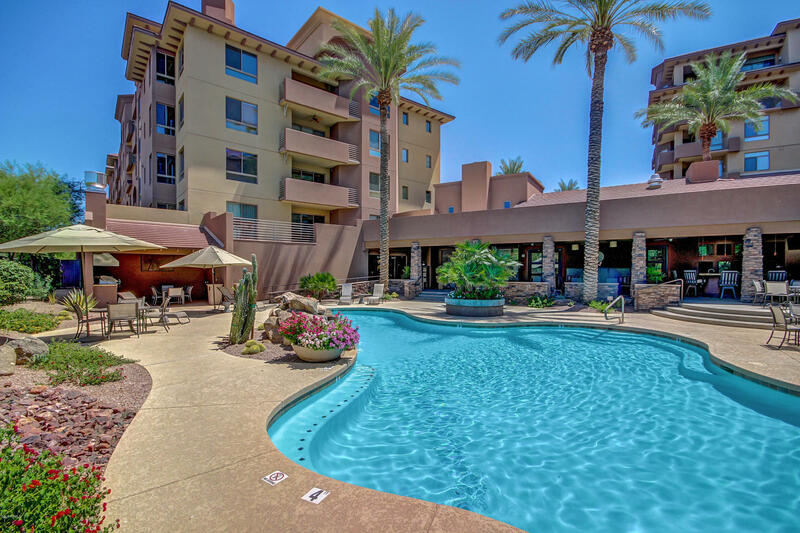 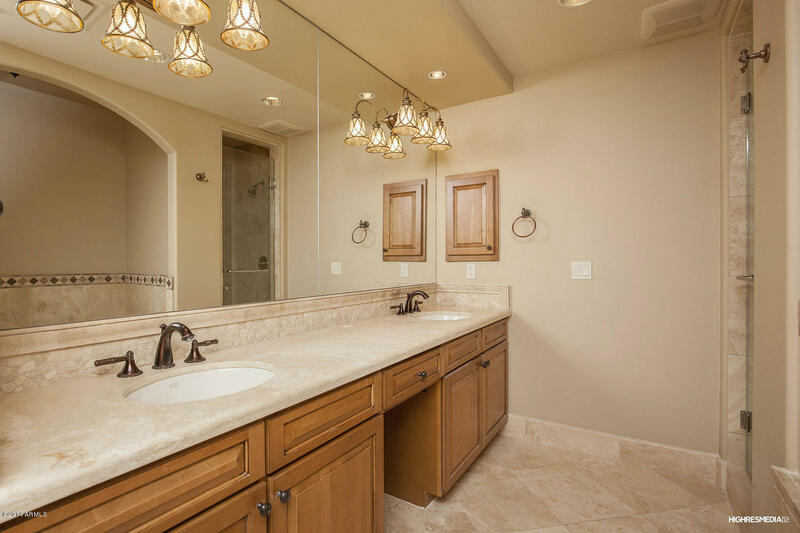 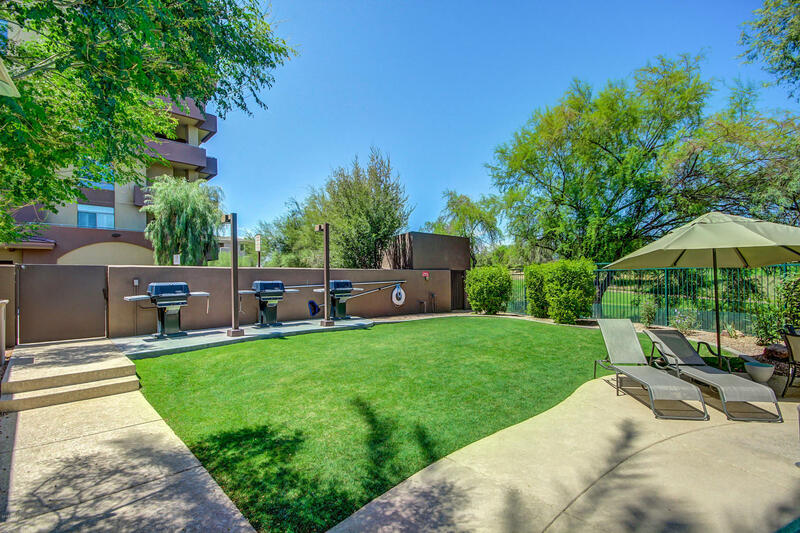 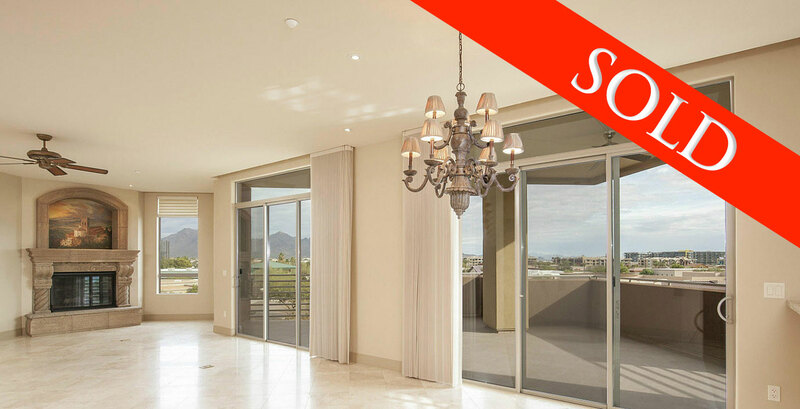 The Landmark gated community, featuring resort-style amenities, rests in the heart of Kierland, close to luxury shopping, wonderful restaurants, and endless activities in Kierland and Scottsdale Quarter.